It seems as though the 2014 growing season is finally underway despite a slow start and quite a bit of cool, wet weather. The last few seasons have been warmer than average, so development is later this year in comparison to recent years. Regardless of the cold, wet weather insect development continues and cole crop growers will need to treat for cabbage maggot (click on cabbage maggot in the category list on the right hand side of the page to see earlier posts on the subject). 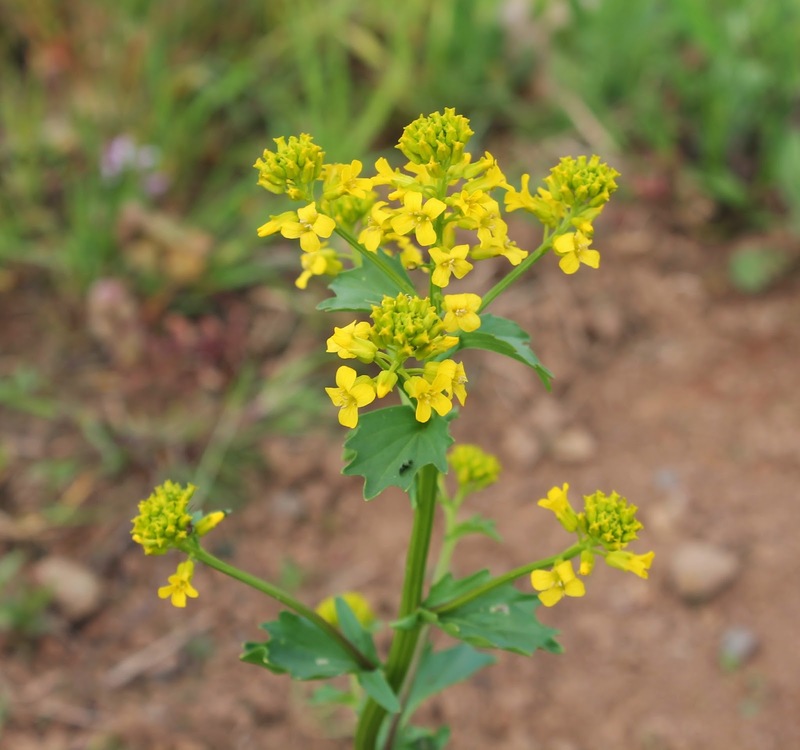 It has been observed that the highest activity of cabbage maggot coincides with full bloom of the common weed, Yellow Rocket. The picture below was taken in Kings County earlier this week and is a good example of Yellow Rocket approaching full bloom. For information on treatment options please consult the Guide to Pest Management in Cole Crops 2014.